Mike Janeway died on Thursday. If I can be said to have known Janeway, it was through a course he taught at the Columbia University Graduate School of Journalism when I was a student there in the spring of 2000. 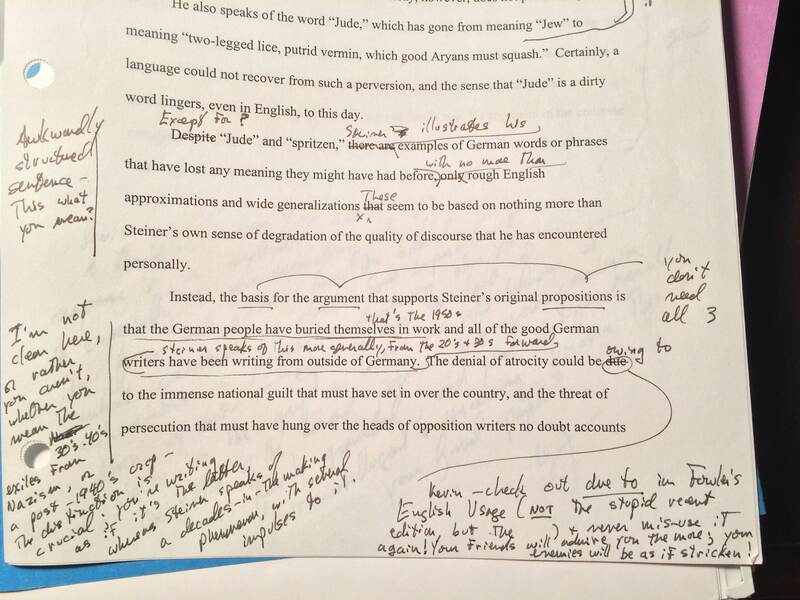 It was a course on criticism, and it was one of a very few courses I took there that lived up to the level of intellectual rigor that I had imagined an Ivy League journalism school would demand of me. (I came to journalism school a naïf, not knowing much about journalism, and imagining that I would be a great critic.) The course was called ‘The Critic as Journalist and Essayist.’ It was cross-listed with the MFA program in creative writing in the school of the arts on the other side of 116th Street, and I loved it. Janeway was a critic and essayist himself, and it was through him that I learned of the feud between Renata Adler and Pauline Kael. Through the readings he assigned, I realized that Andrew Sarris was my personal film critic. In one week, we read Twain, Mencken, Henry Adams and Gore Vidal. In another, James Agee, Lionel Trilling and Dwight Macdonald. I had just barely been keeping my head above water in the courses that were trying to train me to be a reporter. 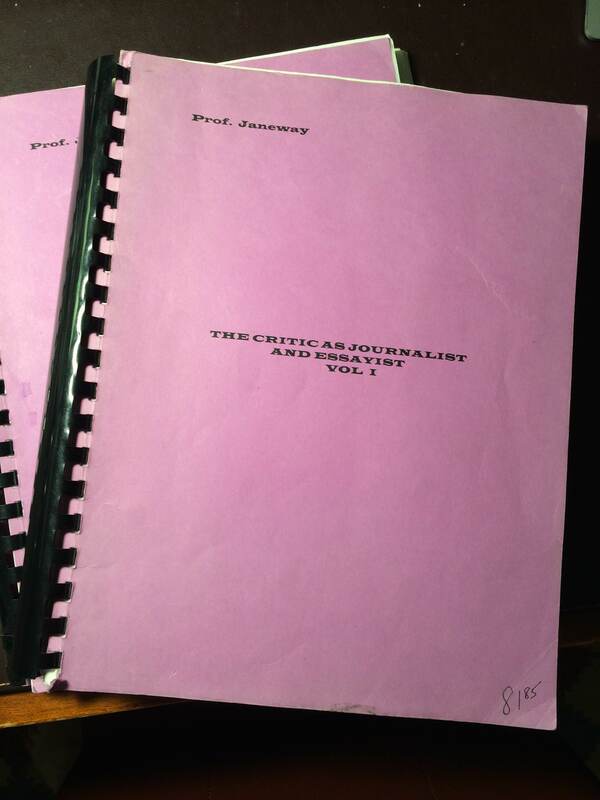 And while I have come to understand the value in that sort of journalism, I found myself in a course that argued that critics were journalists too—ones with intellect and with style. Having just finished a dissertation about the role of press criticism in the self-conception of journalists, I found myself thinking of Janeway at least monthly. On the shelf next to my desk, I keep the two purple, comb-bound volumes of the photocopied course pack he assigned (remember course packs?) and for which I apparently paid more than $80. They were worth it. Kevin—check out due to in Fowler’s English Usage (NOT the stupid recent edition but the ) + never mis-use it again! Your friends will admire you the more; your enemies will be as if stricken! There is a call to authority. There is a perplexing blank space after “but the…,” perhaps where he meant to insert the proper edition number for me. There are exclamation points that read as exhortations, not as irony. There is the lovely construction of “as if stricken.” And there is even an elegant and unobtrusive semicolon. On a shelf above my desk, even closer to hand than those purple course packs, sits my copy of Fowler’s. I’m not entirely certain that it’s the proper edition.